Patti LaBelle serenades the crowd at the St Kitts Music Festival. The 22nd Edition of the Caribbean’s hottest music festivals continues to set records. preliminary reports a record number of nightly attendees, St Kitts tourism officials said this week. said St Kitts Tourism Minister Lindsay Grant. Ms Lauryn Hill at the festival. Peformers at the hugely successful 3 night St. Kitts Music Festival event have been paid. their invoices within the first week following the festival have all been paid by the 2nd week following the event. This years festival has been labeled as one of the most successful stagings of the event if not the most successful one in history. Destra and KES The Band helped to make the SKMF 22 the tremendous success it was. Chakademus & Pliers and Sizzla Kalongi. “It was gratifying to see our planes arriving at full capacity and our hotels sold out. 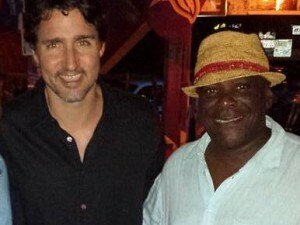 had the benefit of additional business from after-parties,” said Racquel Brown, CEO of the St. Kitts Tourism Authority. The event even trended on Twitter globally, a first for the event in its history.